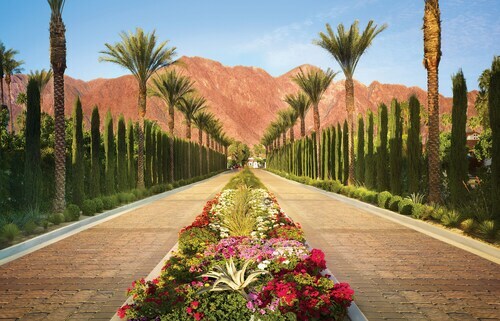 Situated in a state park, this spa resort is within 9 mi (15 km) of RoadRunner Golf & Country Club, Anza Borrego Desert State Park, and Yaqui Well. Anza Borrego Tennis Center and The Springs at Borrego Golf Course are also within 9 mi (15 km). 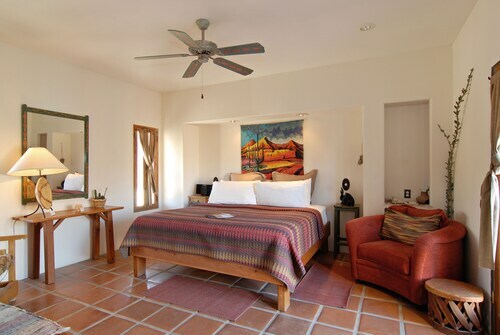 Situated in a state park, this bed & breakfast is within 1 mi (2 km) of Anza Borrego Tennis Center and Anza Borrego Desert State Park. 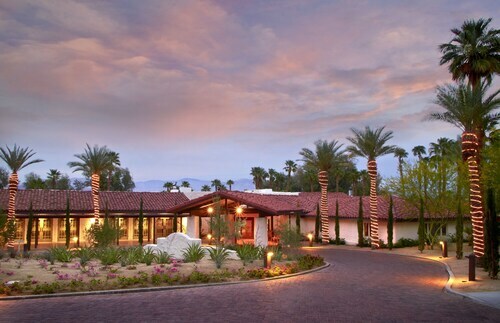 Anza-Borrego Museum and RoadRunner Golf & Country Club are also within 2 mi (3 km). 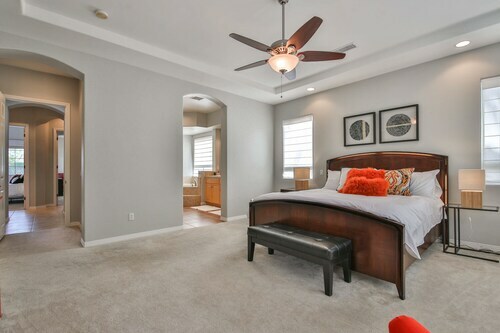 Situated in La Quinta, this condo building is within 1 mi (2 km) of Bear Creek Trail and San Jacinto Mountains. Old Town La Quinta and One-Eleven La Quinta Centre are also within 3 mi (5 km). Situated in La Quinta, this golf condo building is 0.9 mi (1.4 km) from San Jacinto Mountains and 1.4 mi (2.2 km) from PGA West Golf Course. El Dorado Polo Club and Old Town La Quinta are also within 6 mi (10 km). 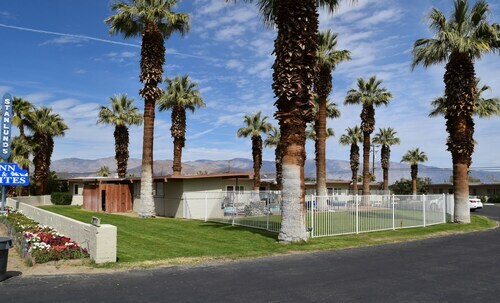 Situated in La Quinta, this golf condo building is within 2 mi (3 km) of San Jacinto Mountains, Bear Creek Trail, and Old Town La Quinta. Indian Wells Tennis Garden and Empire Polo Club are also within 6 mi (10 km). Situated in La Quinta, this condo building is within 2 mi (3 km) of San Jacinto Mountains, Bear Creek Trail, and Old Town La Quinta. One-Eleven La Quinta Centre is 2.2 mi (3.5 km) away. Situated in La Quinta, this golf vacation home is 0.9 mi (1.4 km) from San Jacinto Mountains and 1.4 mi (2.2 km) from PGA West Golf Course. 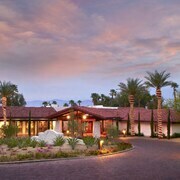 El Dorado Polo Club and Old Town La Quinta are also within 6 mi (10 km). 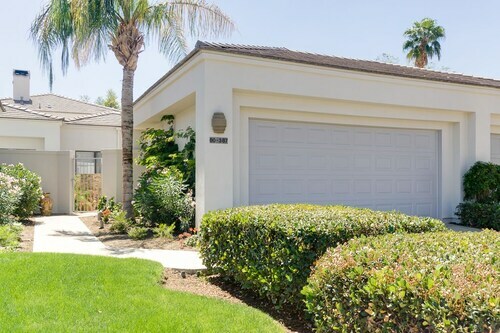 Situated in Indio, this villa is close to Indian Palms Country Club, Empire Polo Club, and John F. Kennedy Memorial Hospital. 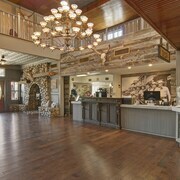 Local attractions also include El Dorado Polo Club and Riverside County Fairgrounds. 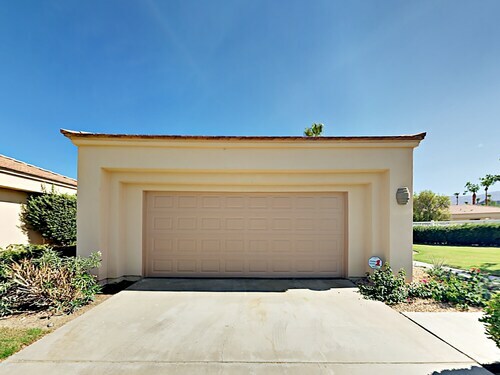 Situated in Indio, this golf condo building is 0.3 mi (0.5 km) from Indian Palms Country Club and 1.8 mi (3 km) from Empire Polo Club. John F. Kennedy Memorial Hospital and South Jackson Park are also within 3 mi (5 km). 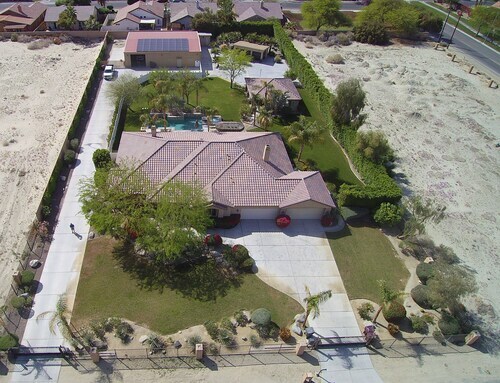 Situated in Indio, this vacation home is 1.6 mi (2.6 km) from El Dorado Polo Club and 2.1 mi (3.4 km) from Empire Polo Club. Indian Palms Country Club and John F. Kennedy Memorial Hospital are also within 3 mi (5 km). The best part about staying in Borrego Springs 4 star hotels is that you’ll often be close to all the local sights and attractions. 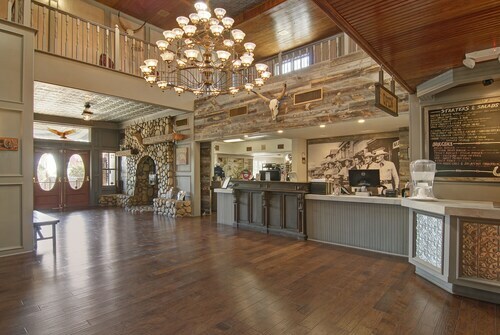 Whether you’re visiting the area for the first time or you’re back in town for more fun, a 4 star hotel is going to put you right in the heart of all the action. 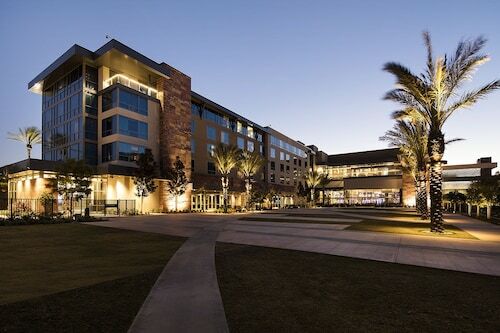 The best four star hotels in Borrego Springs will also frequently include access to high-quality fitness centers and pools, so you’ll feel like you’re staying in an exclusive resort rather than a hotel. You won’t have any excuse for not keeping up with your workout routine! 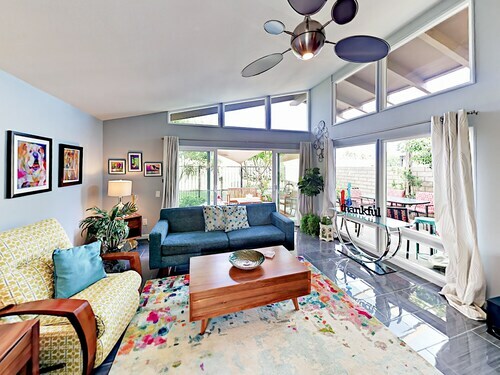 If you’re looking for 4 star hotels in Borrego Springs, you’ll find the most bang for your buck by booking your stay with Travelocity. Go explore a new city, and know you’re getting the best deal on a great hotel with the Travelocity Price Guarantee. Very friendly and thorough staff. The western theme was very cute. Room was pretty clean - new flooring in the bathroom was very nice, older carpet (typical of may hotels) has seen better days. My only complaint is the incredibly low water pressure. I'm not sure if the attempt is to save water because we were in the desert, but it resulted in having to take a much longer shower and probably not saving water. It was convenient having a restaurant on site. Beautiful, peaceful hotel with super friendly staff that is the perfect stay after a long day exploring nature. Highly recommend. Great location to go hiking for those who don't wish to sleep in A-tent! We had a very tranquil 3 night stay. It was the most quiet inn that I have experienced. The views of nearby mountains and the scent of desert lavender and sage were out of this world. We loved sitting in the jacuzzi under start skies. The daily breakfast was full of a variety of fresh foods. We felt so at home that we did not want to leave! Georgetta was fabulous! Quite homely place had a great time. Room has dishes already and all utensils. Desert Rose - Anza Borrego State Park Shangri-la "glamping"
2 Suite Condo, 2 Pools, Tranquil, "downtown" Suddenly Available 2/19-3/10!